Homemade cards are the ultimate expression of love – right? 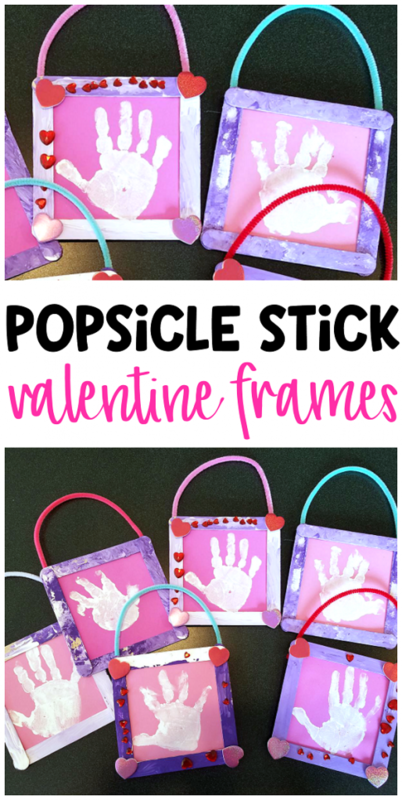 So what better way to get in the Valentine’s Day mood than getting hands on with the kids with our pick of the best Valentine’s Day crafts. Far from just a day for the adults to go on an overpriced romantic outing, Valentine’s Day is now used as an opportunity for the whole family to express their love and appreciation for one another! 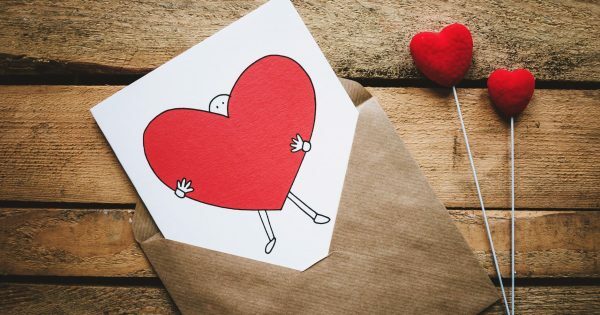 Hearts made from hand prints, homemade Valentine’s cards or just fun crafts celebrating the most loved up day of the year, all are sure to bring a personal touch to your celebrations this Valentine’s Day. 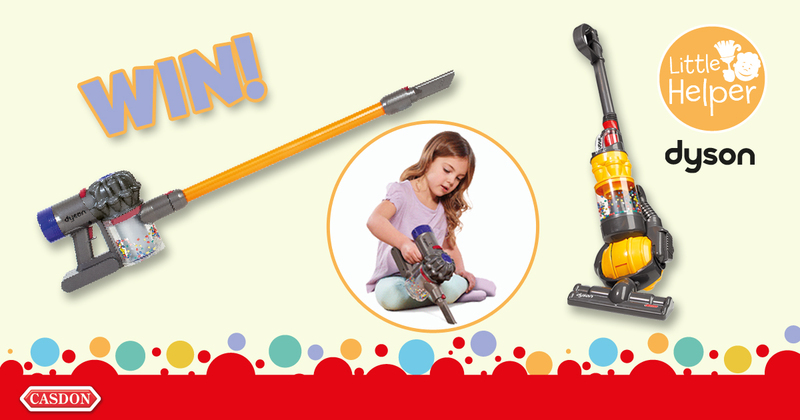 As always, let us know what you’ll be trying and share your makes with us over on Facebook and Twitter @UKMumsTV. 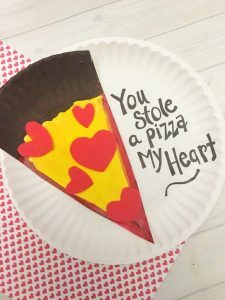 A quick and easy paper plate craft that could be used as an alternative greetings card – just write your message on the back. 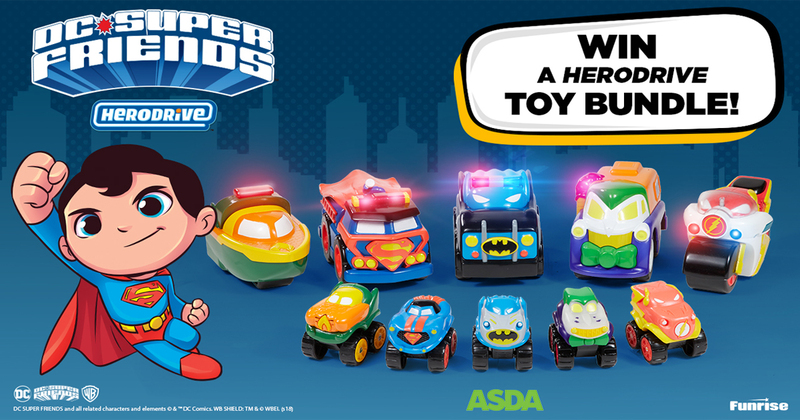 These cute frames are a great gift idea – give to daddy from mummy or just from the kids to their dad for his desk at work. Add a little magnet on the back and it can be kept on the fridge too! 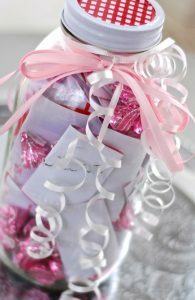 This one’s authentic, touching AND easy – a jar full of reasons why your Valentine is loved. 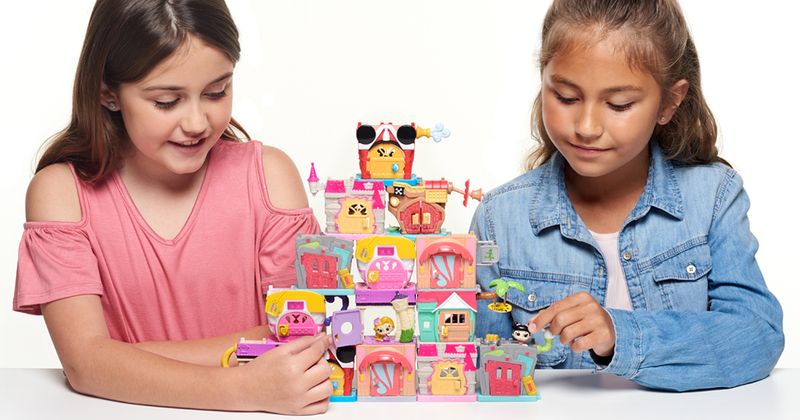 The whole family can add their notes (which is bound to create a few laughs!) which are then added to a jar, decorated and given as a gift that just keeps on giving. 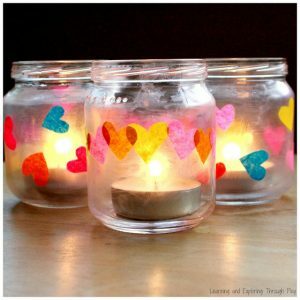 DIY Valentine’s Day house décor just got easier thanks to this easy candle holder craft. 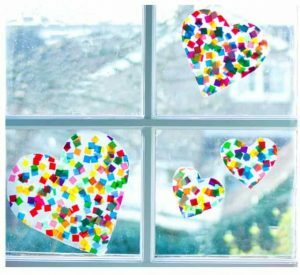 We also like the idea of these tissue paper mosaic suncatchers for even more colourful Valentine’s home décor. 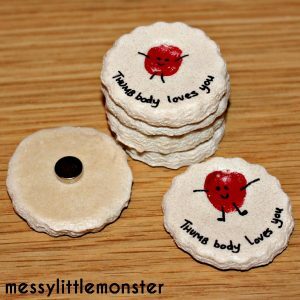 OK, so more than anything we love the pun “Thumb body loves you”, which you could use for any number of lovely Valentine’s Day crafts, but these cute thumbprint magnets are a little bit different and sure to bring a smile to the recipient!